"We will end the theft of American prosperity, and we will stand up for our companies, our factories, and our workers," Donald Trump said at a "Made in America", round-table event at the White House. 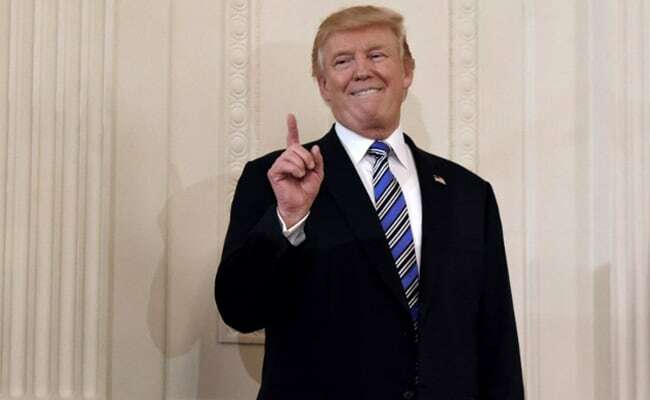 Washington: US President Donald Trump has said his administration has been fighting to bring back manufacturing jobs and crackdown on "countries that cheat". "From day one, my administration has been fighting to bring back our manufacturing jobs and crackdown on foreign countries that cheat. Got a lot of them. We will end the theft of American prosperity, and we will stand up for our companies, our factories, and our workers," Mr Trump said at a "Made in America", round-table event at the White House. President Trump rued that there was a lack of level playing field for the American workers and asserted that they "cannot be beaten" when provided with it. Mr Trump said his administration is committed to working with the private sector to ensure the protection of "Made in America" and the label through efforts like certification, greater transparency, and stricter enforcement efforts by agencies like the Federal Trade Commission. Donald Trump noted that the "Made in America" label was the "gold standard" for craftsmanship quality and artistry around the world which has to be protected.